The following content is a collection of my 3d character models. Below you'll see a presentation of my characters. One of my first interests in modeling was robotics and technology. I get alot of inspiration from popular sci-fi material in movies, video games, and tv shows. Having a clean and organized mesh on your model is very important. 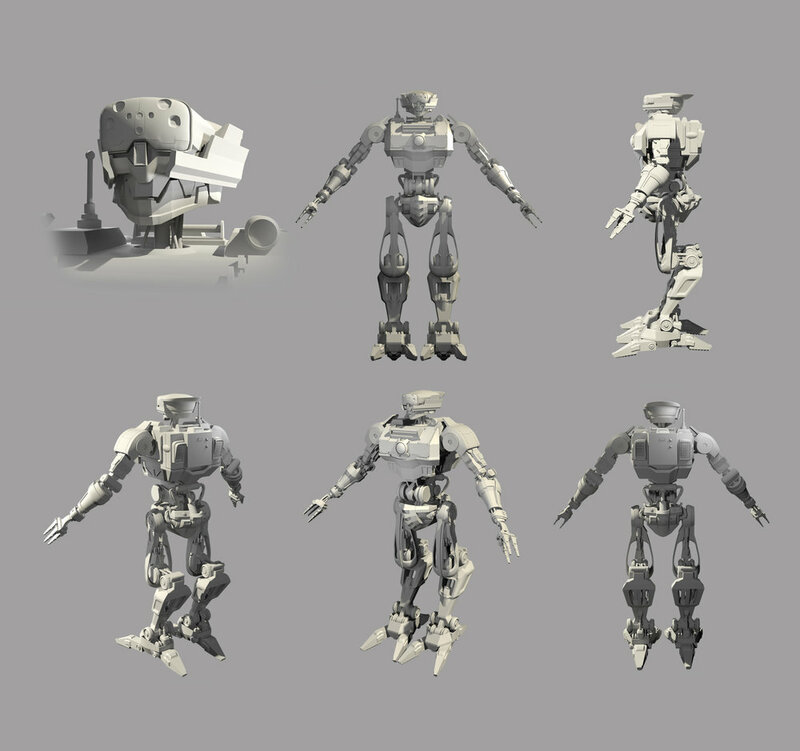 It makes additional processes like texturing, re-topologizing, painting skin weights, etc. easier. I take great care in making sure to have a clean model, for me and others to work with. Above is a simple turn around of my robot.